Register for this webinar to find out how you can use online and offline tools to tap into the exciting Brazilian market. 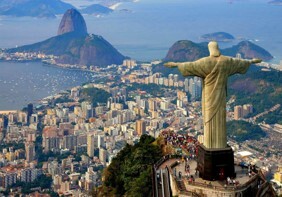 Brazil is the largest economy in South America, so its no wonder exporters have Brazil firmly in their sights. But while its size and potential growth are tempting, Brazil is a difficult market to navigate. Fabio is the Director of Tradebrz. Fabio has 35 years of experience in business development with top international corporations such as Chemical Bank, Johnson & Johnson, and Du Pont. Fabio has also worked as an MBA Professor in São Paulo and Allentown (Lehigh University - PA) and as Director of University of Pittsburgh’s EMBA Program in Brazil from 2005 to 2007. Since July 2001, Fabio has been engaged in the representation of US States in Brazil and private corporations, working with more than 250 different companies per year to promote their exports and in the attraction of South American companies to the USA.